And this one which l got from the video showing the descent and first image, (l can promise you that that part showing the real sky color will be removed, hence the reason l took a screen shot). This image which is the first, totally different colors of the same image. If the image is color and it is the first then this BS manipulation, is intentional and unnecessary. We may as well get used to this sort of see spot run hide and seek nonsense, the dumb minority don't want to know, and have been brainwashed for so long the black and white evidence above won't sink in. In 15 years time all will know. 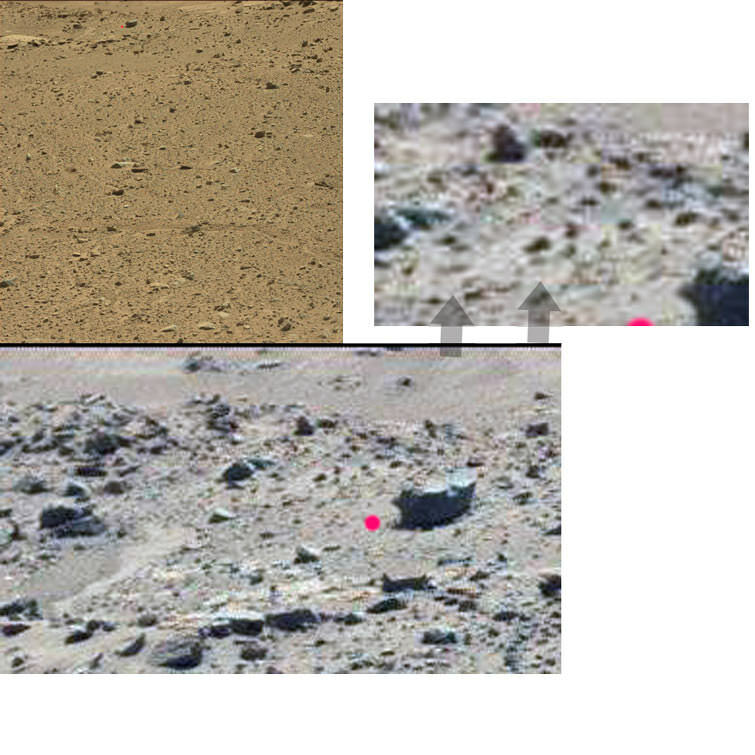 Why does it have to be a conspiracy that we have a difficult time calibrating the color scale used by the CCD imagers correctly in an environment unlike that of Earth? If they fully understood the process, then why do you think every one of these missions carries a color calibration palette on it for the cameras to use to calibrate their color settings? 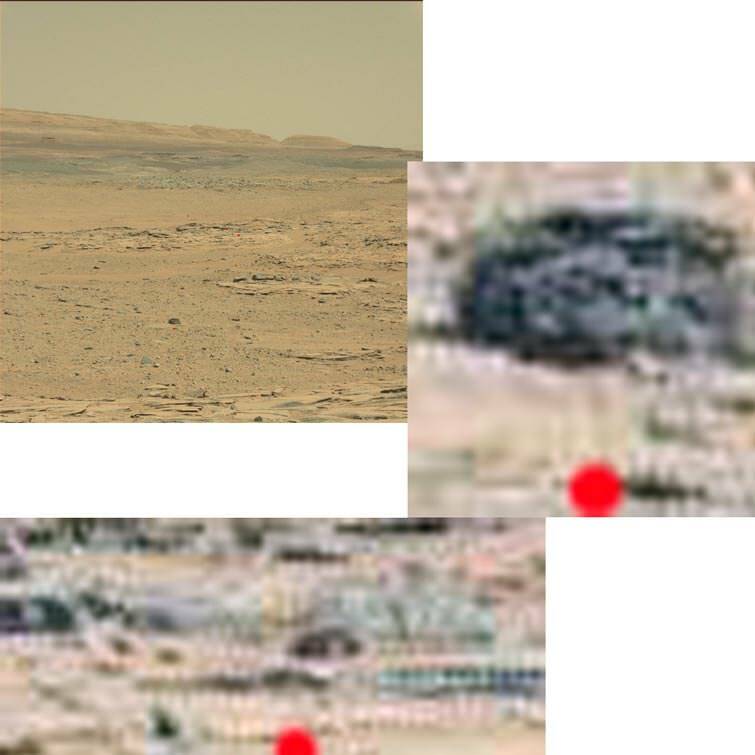 I can at least speak for myself when I say that I really want to know what Mars looks like and I'd be more than willing to chase down every single interesting find or anomaly discovered, but I'm not willing to chalk up each weird thing that a computer or CCD imager does to nefarious government activity. 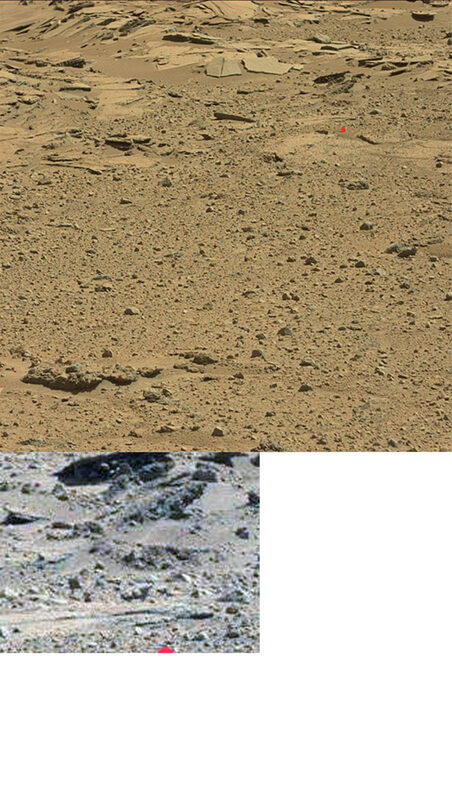 If our government already knew what Mars was like and that it had alien life on it, then why would NASA keep presenting new opportunities for their censors to "forget" to cover something up? Don't you think they'd get magic piles of cash from Congress to go investigate if they found conclusive evidence of extraterrestrial life? That part doesn't make much sense to me. In light of the recent disclosures on UFO's that even include testimony from military personnel about what they saw, why would they try to hide a tree or a bush on Mars when they're showing gun camera footage from fighter jets yankin and bankin with UFO's that are more maneuverable and faster than anything we have in the inventory? A cactus on Mars would frighten the public too much, but a flying object here on Earth that looks like it came straight outta Independence Day wouldn't? Seems implausible to me, but I don't have enough info. That one photo you guys posted looked exactly like a garden variety tree and that's something that would cause me to steer Curiosity towards it to figure out what it was, but the rest are so blurry that I don't know what to make of them. They could all mean something or they could just be the effects of poor calibration or radiation that's fried the electronics. That's why some of us want to send humans. If there's something on Mars that's moving, then we'd surely find it if we sent humans. Until then, thanks for posting the interesting finds. A lot of vision comes down to what is happening in the brain rather than the landscape. I remember when we were bathed in an eerie orange glow (after a Saharan dust storm blew over the UK) after half an hour your "eyes" (ie brain) started to adjust and although you could see the orange glow was everywhere, nevertheless the brain was kind of differentiating all the orange tinted colours to accord with expectations. Vision is a complex thing! Because Mars is the only planet in our solar system with this issue! This is obvious, we know as a fact now, that Mars can support liquid water at ground level, and there is very good evidence, (well the water droplets and wet ground l found previously, could have only come from rain) slam dunk evidence that Mars air pressure is Earth like, which means NASA is lying. 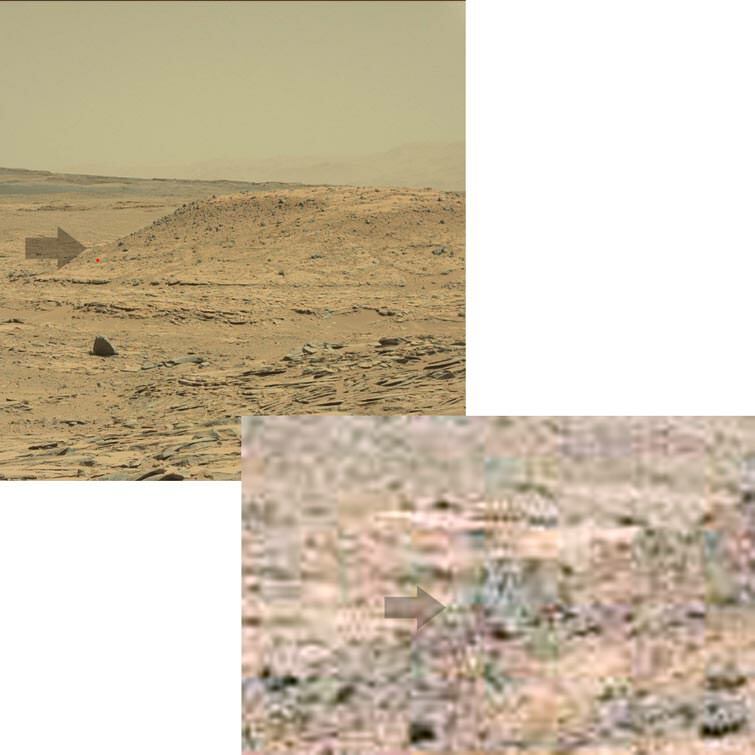 I would suggest you go back to that one, (water droplets on the rover) before commenting further here! Lol, this conversation gets funnier and funnier, maybe the Russians should take over, they landed several times on Venus, with crippling pressures and open oven temp's, and for the 40 odd minutes before it succumbed, it took perfect color images of the landscape. No, NASA is US military run, and they don't want disclosure yet, as that would lead to free energy and denting crude oil profits, (100 trillion dollars of crude oil profits in the ground, kills the magic piles of cash idea, as does crashing the stockmarket. Ok, but ponder this, when l found water droplets on the rover, with the only explanation being that the rover sprung a leak, (l checked, the rover is working perfectly, and radiator coolent leaking into the electronics would show something) then rain is the only explanation. That image should be front page news, but we hear nothing? 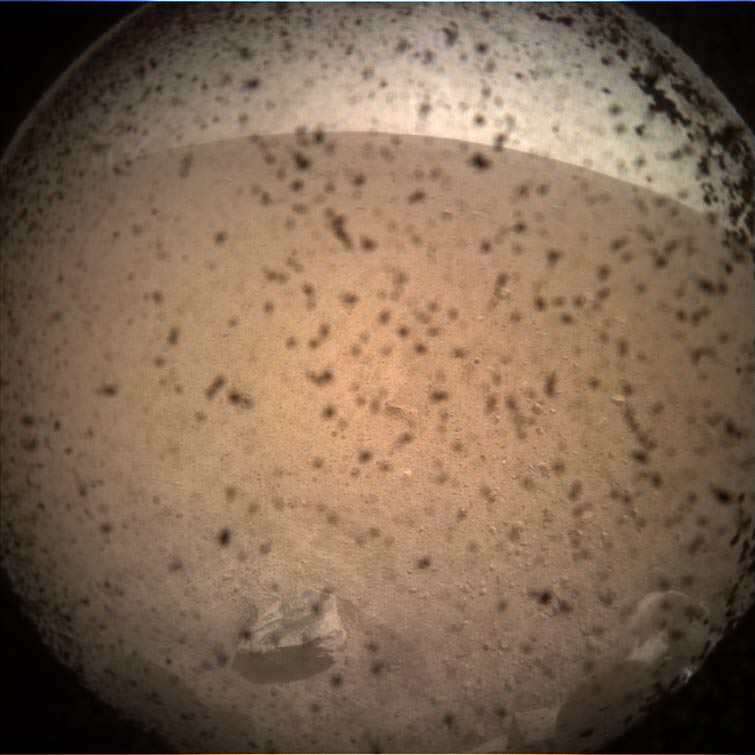 NASA is telling individuals which can see it without the monkey mind kicking in, that Mars is Earthlike and inhabited, but doing it in such a way that the monkeys can dismiss it for the most part. But if l showed the water droplet image elsewhere, (solid proof) l can guarantee you that anger, and every demented reason under the sun would ensure. Or l would be attacked for posting it, or preschool replys would occur. Maybe some alternatives, but overall anger, and stupid comebacks. People for the most part just don't want to know, they want to believe NASA never lies, and Mars is a dead rock, and that counter evidence can always be dismissed. But evidence cannot be dismissed, and not buried forever. NASA will show a HD image of a tree on Mars, but only when third party interests are making it so difficualt to bury that they may as well get it over with, before Musk,etc tells everyone. And the human mind, unfortunately. Another excellent video from Joe White. To my eye, the "Gravestone" is a very compelling image. The rounded arch relief is definitely to be seen in the original and it does look like some sort of pattern therein. Edit: Sorry see I omitted the link! Two more good examples of clouds with the potential of forming rain, (according to NASA mars only has wispy, high altitude clouds that have no water bearing properties). Those look like rocks not clouds.Has something got lost in translation? How many stones or rocks would you have to look at on Earth before you turned up at before you turned up one with such a perfect facial alignment of nose, ear, mouth, chin, hair and eye, even eyebrow? I would suggest on average a lot more than the Rovers have looked at. I have never come across one and I've always had an eye for interesting pebbles and stones. I've never come across one that looks anything like a face or facial profile, let alone a face this good. This is a lot more than pareidolia. No one is straining to see a facial profile here. It is perfectly clear. The issue is whether, like monkeys typing a Shakespeare play, this has happened randomly or whether it is indeed an artefact create by some sort of intelligent being. True, not the best example, but the bottom one does show clouds with underlying dark areas, or a build up of water vapour, (on the left). 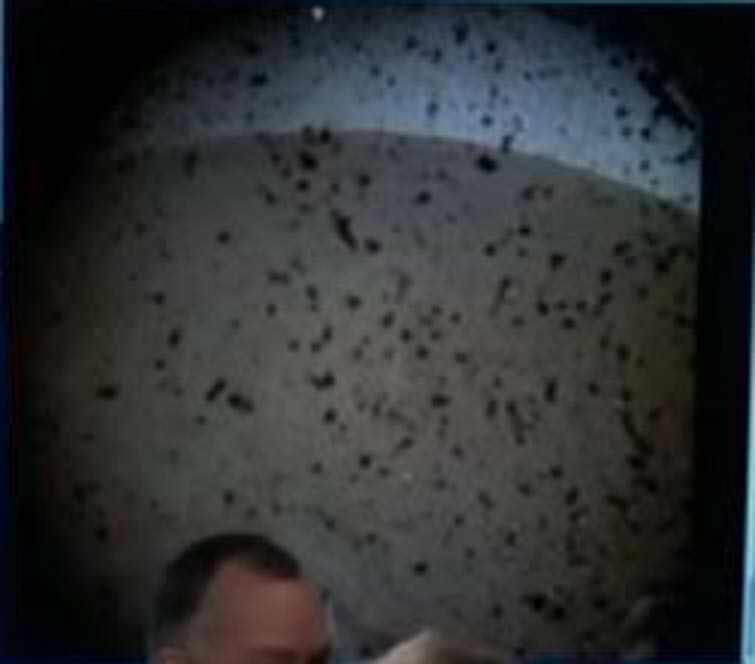 And the video face, good try, but on closer inspection the left eye, mouth are the rover being reflec, back. 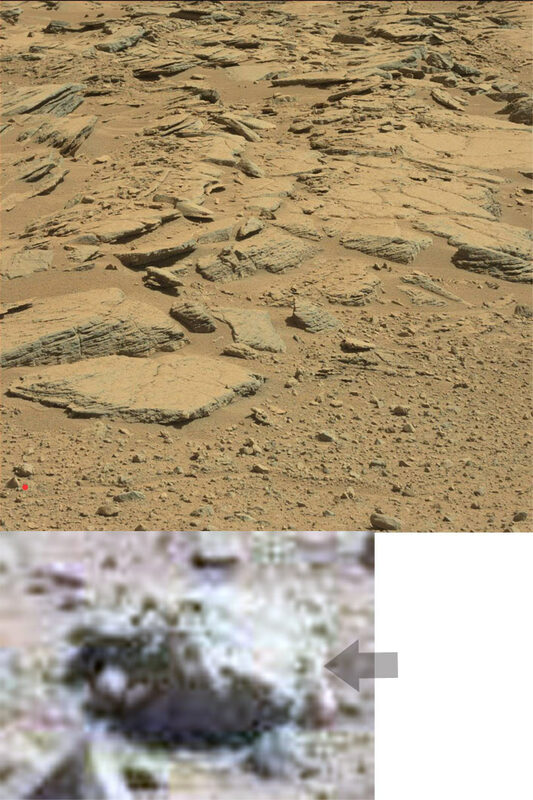 I badly wanted to say that this was a martian rabbit, but it is a ref, rock, no more, sniff. More signs of water or recent rainfall. This one interesting structures, with the middle one being my favorite, (distant white buildings). This crap gets funnier by the day. NASA can't explain why one of its rovers has what looks like a torrential downpour on the rover which cleans 70% of the dust off its panels, while the other one doens't, (well Opportunity is dead, but when it was sending back stuff). When l come here l feel like that l am writing a doctorate in what Mars is really like, and elsewhere, writing a Mars 101, for preschoolers. Some are determined to believe that Mar is dead, eventhough the data NASA is giving humanity now, is full of contradictions and down right impossible events. I don't see what the big deal is anyway, Mars is the second habitable planet in our solar system, that we know of, that can support life. I guess that it is the supporting life part that keeps a ball and chain around common sense. And you will notice that they say that the dust was baked on pretty well, or in other words a mini cyclone would have been the only way to get 70% of it off, but heavy rain and wind for a long enough period could easily have achieved the result. And NASA calls it a Carwash, just for the irony of it all, (they know that it is rain and wind, as we do). A possible puddle up top and examples of rainclouds below. I really want to say that this is a piece of metal, but it is probably the rovers wheel. Middle, dark thing the rovers mast cam, the green background and some weird stemmed blobs, a mystery, (well, they are either plants or artificial in nature). The amount of dust that seems to just hang in the air of mars is surprising. The dust,...no, that is NASA red/orange filtering virtually every image they process. This is the actual color of one of the previous images, or all images. Yep, this entire area is wet or damp, as is shown here, (shows a small puddle on the right). And this showing water running off the hill, (top) and into a gully, (closeup shows a reflection here and there). Mars is a wet world, and the downpours on the NASA solar panels, on their probes and rovers, makes it more so. Unfortunately they continue to play dumb when asked. I hope this can garner a response from NASA, who have by and large maintained a puzzling silence of have simply squawked "pareidolia" every now and then. I hope this can garner a response from NASA, how have by and large maintained a puzzling silence of have simply squawked "pareidolia" every now and then. Yees, the face he talked about is probably a reflection for the most part, and some of the other ones, are questionable, but the square on the base of the hill is a good one. NASA will BS there way out of any corner they find themselves in, since they will not show the HD tree til the year 2033, which will ultimately lead to free energy and a slump in oil profits, when the whole martian thing becomes apparent. They should do a doc, on the rain drops on the rover, l would like to see them get out of that one? Yes, usually unlikely, but l will keep an eye out. If you could find me a reflection like that in a natural rocky landscape on Earth I might believe you. 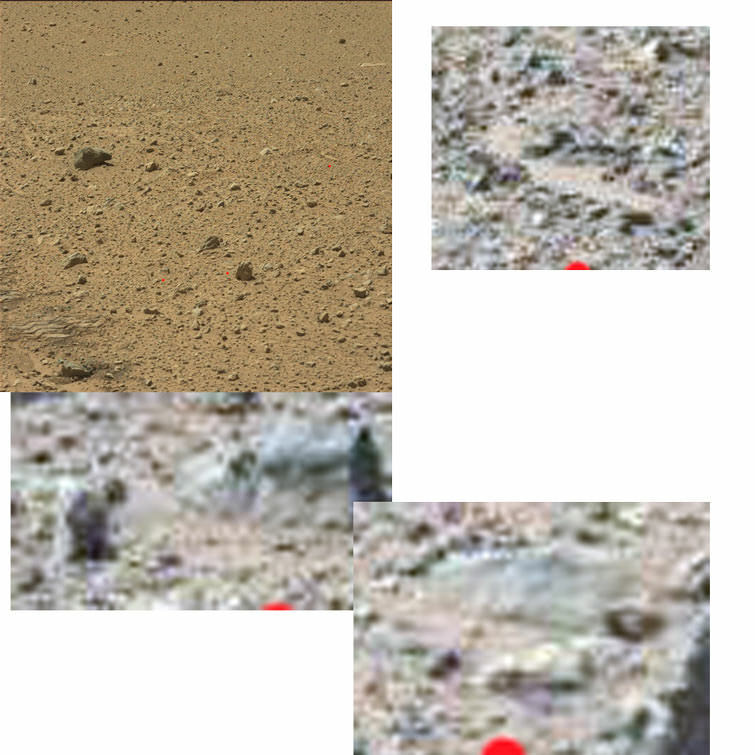 Took another close look at it, and it is a reflection, probably of some plant, and part of the rover, (seeing the sun, shining through the clouds makes that pretty obvious). I commend these people for putting in the effort, into making a quality doc, but their material could be better. 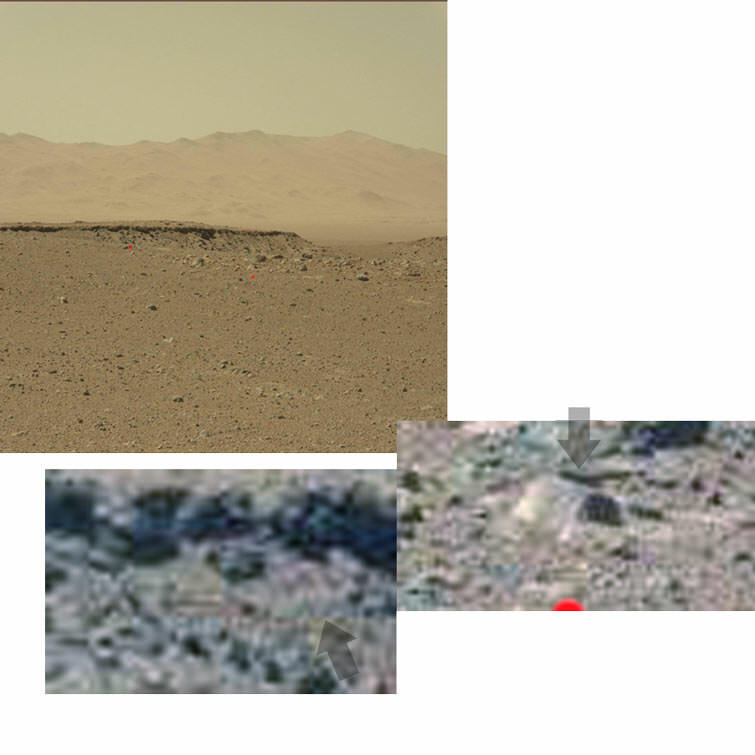 A case in point, is the temple in the image with the hill, (Spirit or Opp, image) which l also found years ago, and thought that it was legit til recently when after careful study found that it was a reflection of the rover; hamster one, same, lizard one, sa,...well that was a house, but still. I certainly hope that this isn't funded by NASA or the uS gov, l have seen UFO doc, in the past, that where, and had credible witnesses and computer animation for the UFO's, (not really what l would call evidence) and the scariest first contacts imaginable, or clearly a propaganda doc, for skeptics. I may leave a message under their video, so hopefully next time, the rain on the rover will get aired. I was really asking for a photo of a rock on Earth that shows that sort of reflection. I've never seen anything like that on Earth which is of natural formation. 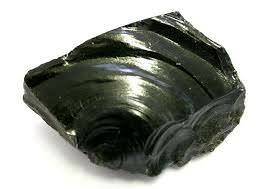 Best l could find on Earth, (very reflective, volcanic rock, or clearly reflecting the light source). 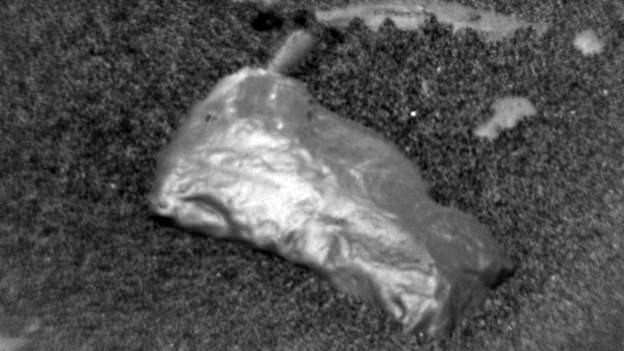 Someone else spotted a reflective rock on Mars, or silica or silver rock, (looks like someone shined up a silver nugget). 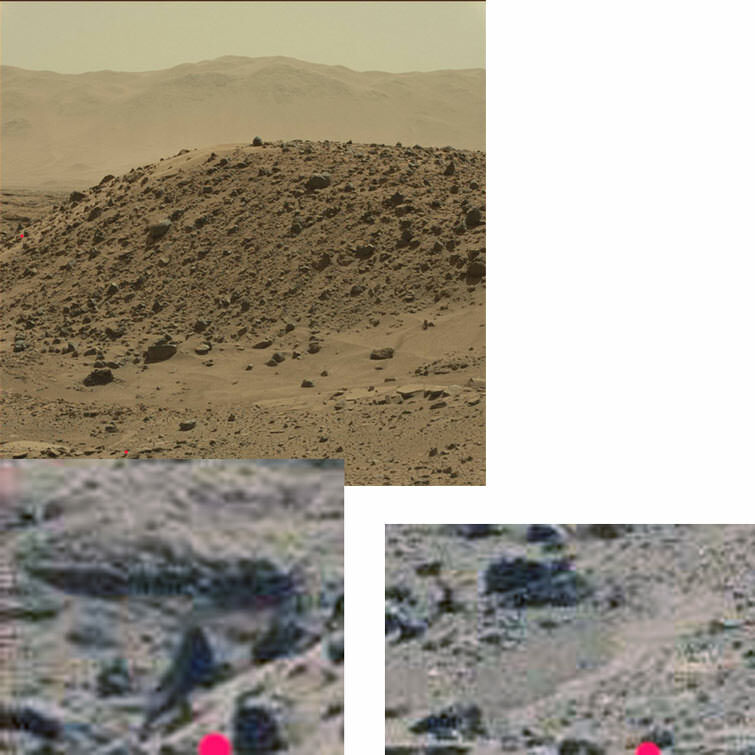 And the video, yep probably an ancient foundations of a house, obviously NASA can squirm, but more likely a house than not. 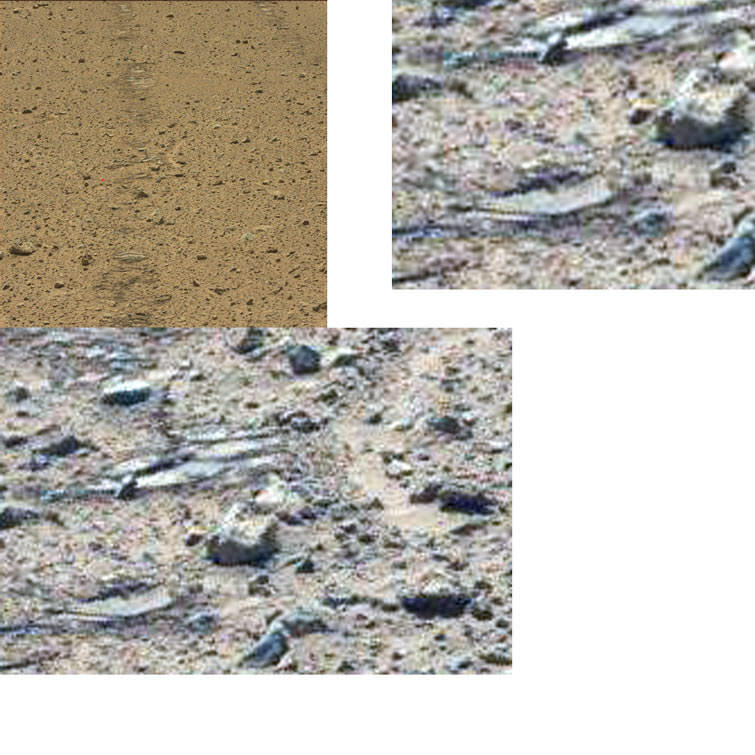 The rover is clearly driving over some muddy or wet dirt, (and probably leaving a puddle, but the small stream further down is more likely). This one shows the rovers details, (foreground) and still the sun setting and obvious water bearing clouds in the sky, (you can't have this much gray under a high altitude, cirrus cloud, that is devoid of moisture). Going by the Sols or martian days, (1 Sol is a day) Mars had rain about 4 days ago, (Sol 588-592) and recently going by the wet dirt, etc. 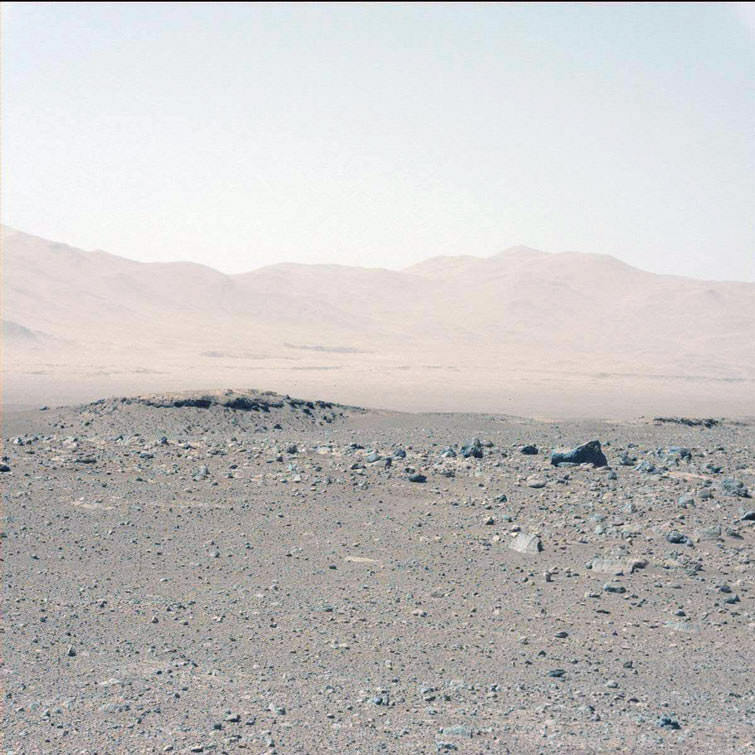 So if Mars did have a drought, it seems that it has broken,...possibly recently.